Raising a ridge beam is always a challenge. 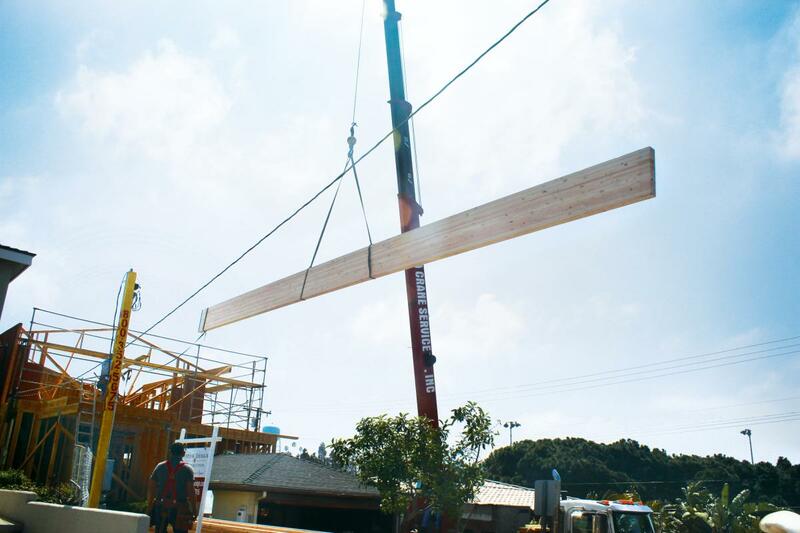 But when that ridge beam is a 6-inch by 30-inch by 54-foot, 2,000-pound glulam colossus that’s been transported 900 miles down the Pacific Coast from Oregon, and now must be craned 40 feet into the air and lowered into narrow slots in the gables of a structure hemmed into the tight confines of neighboring buildings, power lines, parked and passing cars, curious onlookers and even a baby stroller or two ... well, it’s as if the circus has come to town, and this is the high-wire finale. At the appointed hour on the selected day, the excitement is palpable as the entire crew assembles for delivery of the star attraction. Even a few extra staffers from Bill’s office have come to witness the "Big Beam Up." 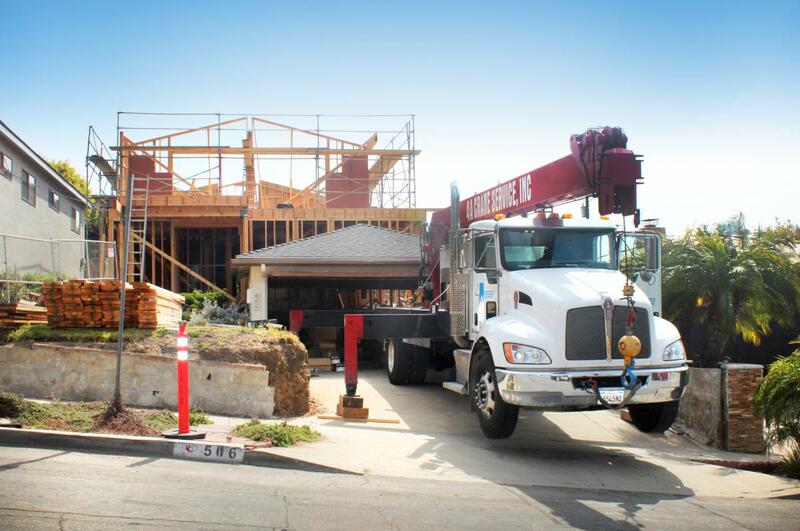 A hydraulic crane is positioned on the short driveway with a pitch that means outriggers must lift the nose of the truck several feet off the ground to level it. Seeing those big wheels hanging in the air over the sidewalk defies the logic of a little neighbor girl, who ponders a possible exploratory pass underneath—but thankfully thinks better of it. In the distance, the faint sound of reverse warning buzzers signals that the flatbed semi is nearby, and moments later, one end of the hulking Douglas fir girder appears from around the corner and slowly reveals itself as the truck lurches into position. The main event is about to begin!